IN the wake of the Christchurch mosque attack, Australia’s religious schools, mosques, churches and synagogues are being offered $55 million in extra community grants to boost security. Announcing the grants, Prime Minister Scott Morrison said religious freedom started with the right to worship and meet in safety. 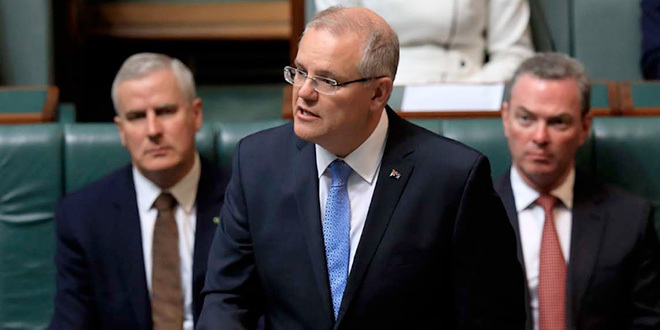 “This must be the first freedom we secure, to practise their faith in safety, other (freedoms) should follow,” Mr Morrison said in a speech to the Australia-Israel Chamber of Commerce in Melbourne on March 18. “Religious freedom is not just an inalienable right as free citizens. It is important to the very cohesion of our society. The money is to help community and religious groups upgrade security at their facilities. They will be offered grants worth between $50,000 and $1.5 million to spend on security measures such as CCTV cameras, lighting, fencing, bollards, alarms and loudspeaker systems. The money will be made available through an “acceleration and extension” of a community fund that has provided $70 million. “I so wish we didn’t need this on places of worship in Australia, whether they be at temples or schools or mosques or churches,” he said. “It grieves me that this is necessary, but sadly it is. Mr Morrison told Jewish leaders in Melbourne “the bonds between us all matter”.